It’s that time of year again to think about your Denver furnace repair and maintenance. It’s the time of year where we’re all slipping into our comfy robes, sipping on hot chocolate, and firing up our heaters so we can stay nice and warm during these frigid months. But what happens if you can’t keep your house warm? What happens when you have to keep cranking the heater higher and higher, but your house just won’t maintain a comfortable temperature? This is a common problem, and it’s one that will cost you every month as your energy bills pile up. The good news is that if you can figure out why your home won’t stay warm, you can correct the problem and get your energy bills back in check. 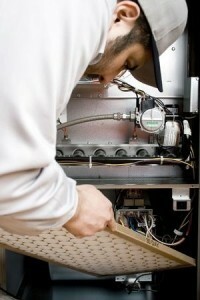 Your best bet is to have your heater inspected by a professional, so you can make sure it’s in proper working order. Sanders & Johnson can help with all your home heating needs. 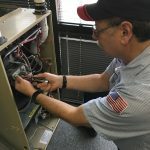 Whether you need Denver furnace repair, furnace installation, or maintenance, we can help.